A balanced, gentle and gradual method. Since the phenomenal success of his method in the early 2000s, Pierre Dukan has travelled the world studying and gather further information; As has been the case throughout his career, these encounters have led him to enhance his method. The nutritional staircase is a set of 7 steps which reflect the importance in terms of weight loss categories of foods as they are introduced on each successive day. 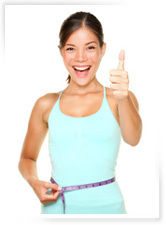 The first two steps consist of eating unlimited quantities of the 100 allowed foods. The weight loss is gradual and constant,* as you develop good eating habits that you will continue in the long-term, providing the basis for consolidation, followed by successful stabilisation. At each step a new category of foods is available to ensure extra motivation! 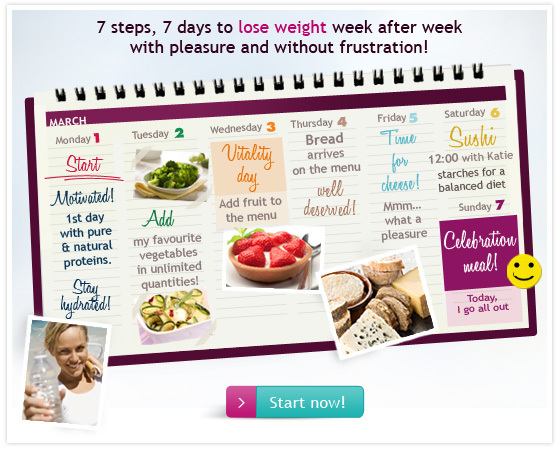 7 steps to climb, one step a day: each day incorporates a new family of foods, so that you are rewarded on an ongoing basis and remain motivated over the long term, thereby encouraging those who make the choice to lose weight less quickly but without any frustration, satisfyng any cravings with a celebration meal on Sunday. Tuesday: Introduction of as many vegetables as you like! Thursday: Finally some bread, whole wheat of course! Friday: Time for some cheese! Sunday: Relax and enjoy the weekend with a celebration meal! It introduces the necessary foods consumed together in the prescribed doses during the third phase of the Dukan method. As the days pass, your body gradually adapts and the attitude of never regaining weight becomes "hard-wired" as a mental reflex. The Nutritional Staircase enables you to lose weight at your own speed by learning to control your weight within a more flexible, relaxed framework. No unsatisfied cravings or restrictions in your social or family life! 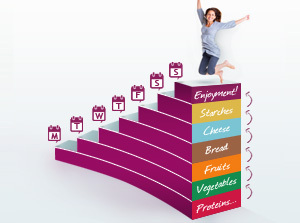 Do you want to know if the Nutritional Staircase is for you? Calculate your True Weight and answer the 4 guidance questions on "which method"
You will know how many pounds you need to lose and when you will reach your True Weight.